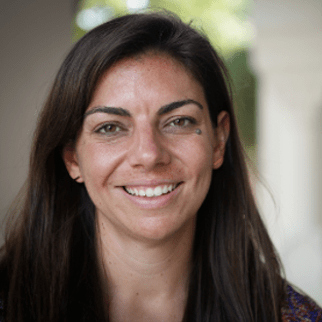 Erin Barringer is a Partner at Dalberg Advisors, where she leads the global health practice, and Director of Safe Surgery 2020. Erin co-designed and launched Safe Surgery 2020 in 2014 and has led the partnership’s coordination, government partnerships and fundraising since. At Dalberg, Erin advises leaders across the public, philanthropic and private sectors on an extensive range of global health issues, including maternal, neonatal, and child health, infectious diseases and non-communicable diseases. For every 100,000 live births, 814 women die in Nigeria, 725 die in Liberia, and 443 die in Zimbabwe. (For comparison, the U.S. has the highest maternal mortality rates in the developed world at 26.4). One major reason is limited access to C-sections – a persistent problem in low-resource settings, where health systems often lack the people, supplies and infrastructure to perform the procedure safely. Erin Barringer and Erastus Maina at Safe Surgery 2020 discuss this challenge, and how their partnership is successfully addressing it in remote parts of Ethiopia and Tanzania. With an estimated $140 billion needed per year to finance the health-related Sustainable Development Goals, the role of private sector finance is more critical than ever. Dalberg, after exploring the topic from a variety of angles and analyzing successes, synthesized three golden rules of investing in health-focused BoP models to help guide businesses, investors and start-ups. It's not too early in 2016 to see a few emerging themes: a transition toward local ownership of health priorities, financing and implementation; a growing need to understand and target specific segments of populations; and a shift in focus to several emerging areas of opportunity which are new to the global health agenda.